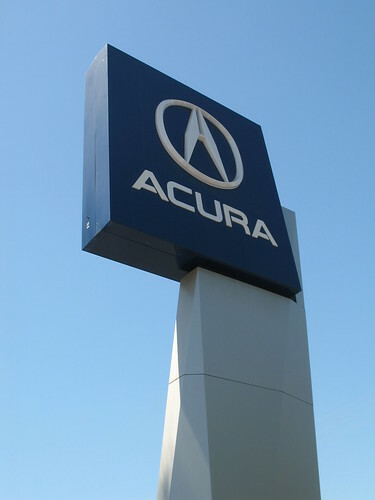 We went to Glendale yesterday to get Big Red serviced. 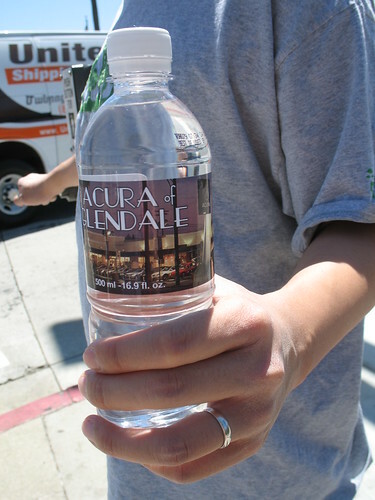 Whenever we do this, we dine at Mamita Peruvian Restaurant (714 S. Brand Blvd., Glendale, (818) 243-5121) while we wait. 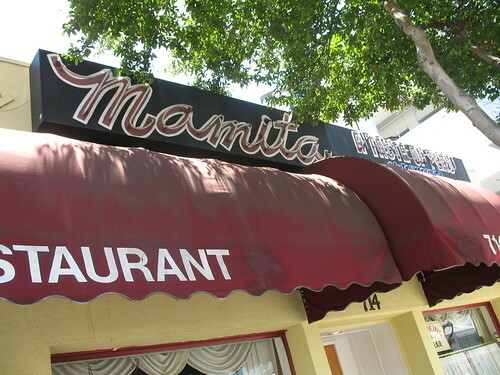 Nestled between Mercedes and BMW dealerships, Mamita is a small unassuming eatery that serves home-cooked Peruvian food. The ambience is nothing to speak of, but the food is pretty tasty, enough so that Mr. Monkey's family joined us for lunch. 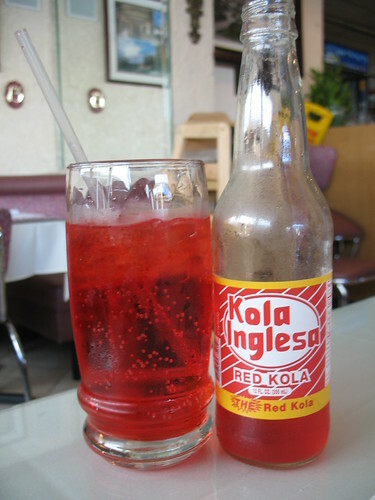 Mr. Monkey and his brother ordered some Kola Inglesa. 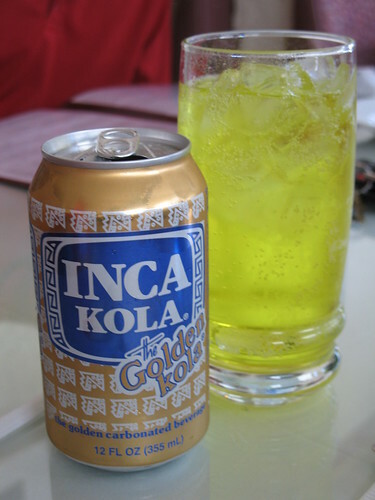 Mr. Monkey's dad drank Inka Cola. 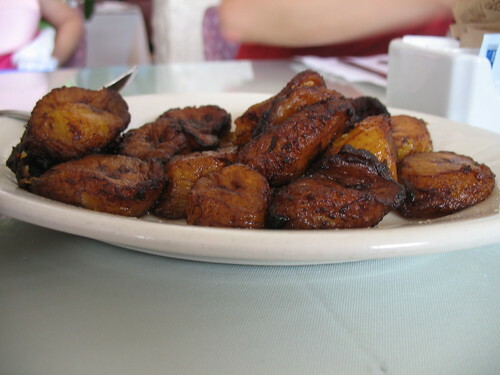 Appetizers included chicharrones de pescado and platanos fritos. Dee-lish. 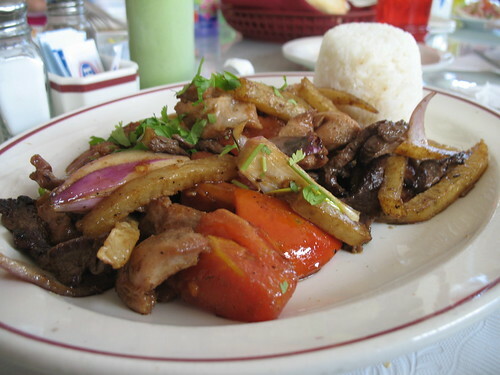 I dined on saltado de carne y pollo. The beef was a little chewier than usual, but otherwise the dish was quite good. Those are french fries in there! Mr. Monkey opted for tallarin de camaron y carne. 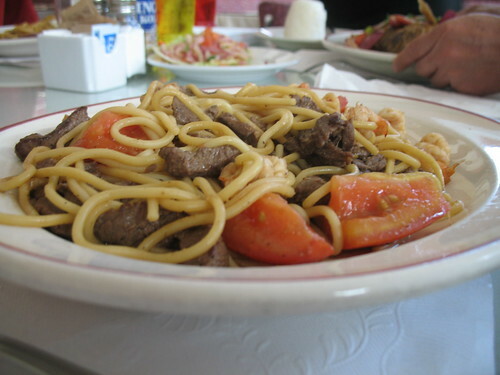 It was like Peruvian spaghetti! 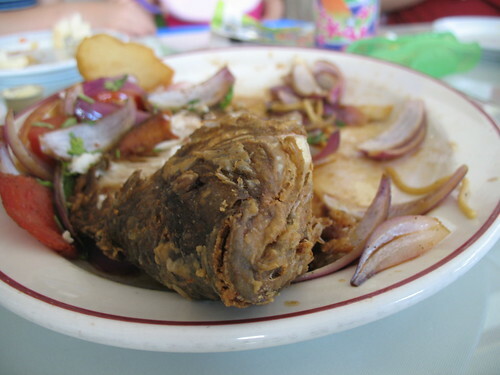 Mr. Monkey's dad had mojarra frita -- a whole tilapia fried. Fan-freakin-tastic. This was by far the best dish of the day. Sadly, I didn't get to photograph it until we'd demolished most of it. 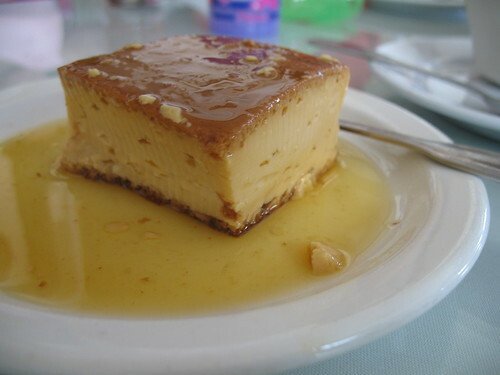 Dessert was flan and Peruvian custard. 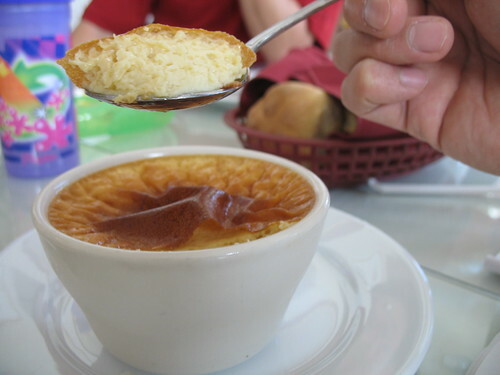 The flan was smoother with more caramel notes. The custard was airier and laden with cinnamon. 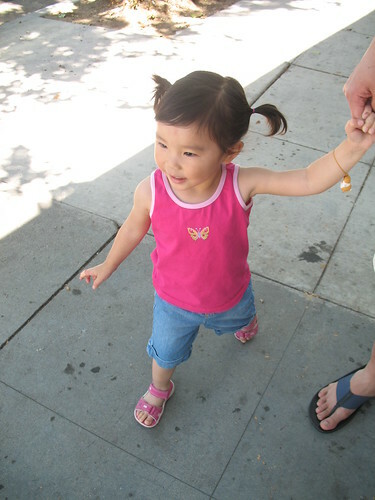 Little Monkey Niece and her tri-pigtails had fun walking back to the car with her Uncle Monkey. If you're ever in the neighborhood to shop for or to service a car, I highly recommend stopping by Mamita. 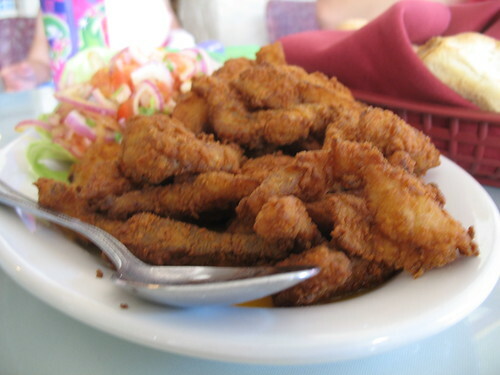 You could probably skip dessert, which wasn't all that great, but make sure to load up on lots of fried goodness. I'm a big fan of Peruvian food - those dishes looked so on point. I wish they had a franchise down here in my neck of the woods. I adore Little Monkey Niece. The tilapia's face is staring at me! Ahhh! I do like Peruvian food, though, so I will have to check this place out! OMG! 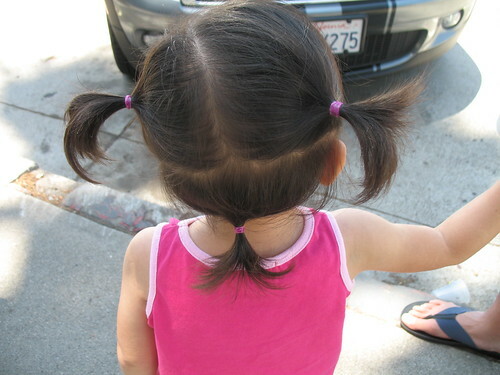 My grandma used to comb my sister's hair like that! Except for the third pony would be at the top of her head instead of the bottom. diame needs to know there is decent peruvian as far south as irvine. the tilapia looks delish. now i want some saltados. LMN's hair is hilarious. 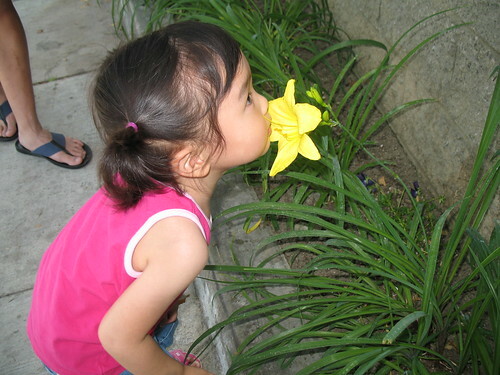 and cute. okay LMN is positively adorable. such a cute little face! will have to keep that place in mind. looks very yummy. i heart that little girl's hair. 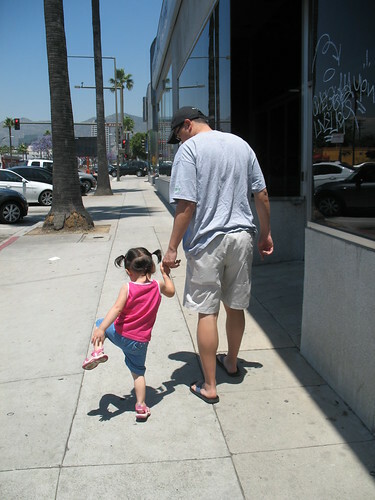 I love the photo of the backs of uncle monkey and little monkey niece. Too cute! We have to find a new Peruvian place now that our favorite is miles and miles away. But then I get to be like my friend, Detective Monkey and explore all new restaurants! 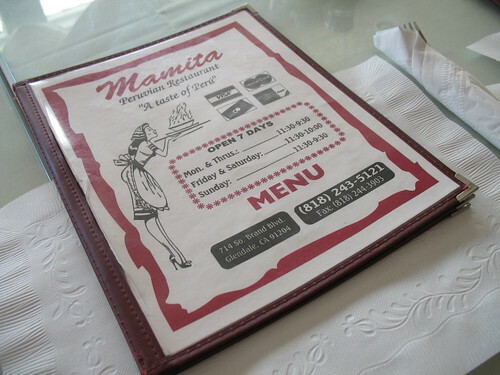 mamita is what we call my french grandmother - love it! and I need to remember not to read your blog when I'm hungry. it's like going to the grocery store on an empty stomach. WTH? How did I not know about this place? I'm going to go there in the very near future. and the food looks fab. i'm wishing i had that flan right now, actually. I will have to remember this place the next time I go out for lunch. Have you been to Lola's up the street?